AMD Launches Graphics Triple Play: 3 GPUs in 3 Months. 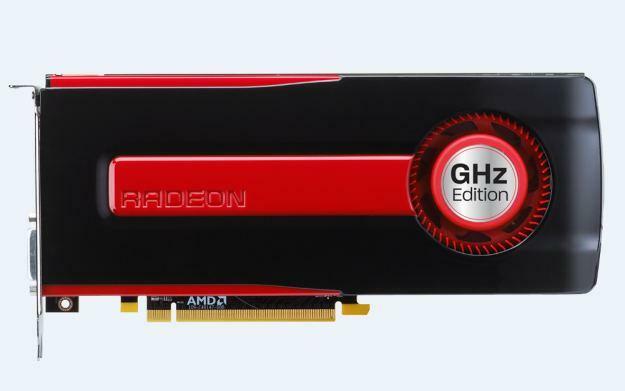 AMD today reached a major milestone in the graphics industry with worldwide availability of its full line of next generation AMD Radeon™ HD 7000 Series GPUs in less than three months. Starting in December, AMD launched the AMD Radeon™ HD 7900 Series, followed in February by the AMD Radeon™ HD 7700 Series and completed today with availability of the AMD Radeon™ HD 7800 Series graphics cards. The AMD Radeon™ HD 7970, the world’s fastest and most advanced single GPU unleashed AMD’s revolutionary Graphics Core Next (GCN) architecture and packed in support for PCI Express® 3.0.1, The momentum continued in January with the arrival of the AMD Radeon™ HD 7950 GPU and in February, with the AMD Radeon HD 7700 Series, including the first graphics card to ever break the 1 GHz barrier, the AMD Radeon™ HD 7770 With today’s availability of the AMD Radeon HD 7800 Series, packed with 2GB of GDDR5 memory for serious gaming, AMD is leading the way–unrivaled in providing customers with a full lineup of next-generation graphics cards. Since the launch cycle began, AMD has received over 200 of the industry’s most coveted product review awards and praise from some of industry’s leading reviewers. Currently over 60 SKUs of the AMD Radeon HD 7000 Series product line featuring custom cooling solutions and overclocked engines are available to customers worldwide.